Asian School of Business (a part of Asian Education Group) – one of the top ranked BBA/BCA colleges in Noida – recently held season 6 of its annual inter-college cultural fest known as ‘AEG KESSHET’ on Thursday, 17th January 2019 at its campus in Noida. 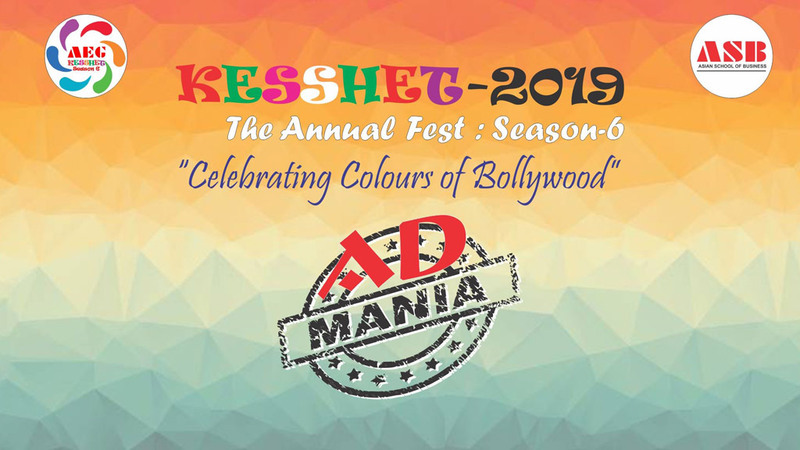 AEG KESSHET 2019 was celebrated with great pomp and enthusiasm, and in complete Bollywood style. One of the attractive event activity at this festive celebration was the “Admania” competition. The competition saw young marketing buffs and a creative freaks trying to prove a point about their advertising acumen in the areas of branding and marketing of products & services. A total of 7 teams participated in this event. The event was judged by Mrs. Kanchan Ghose Chaudhuri, a pioneer teacher and CBSE incharge at Mayoor School. The first position was awarded to the team from Pearl Academy, who managed to evoke peals of laughter with their funny act.